My husband and I first encountered our home last year. We were engaged and planning our wedding for later in the year, and Paul drove the two hours to come see me in Scranton every other weekend or so. (The alternate weekends I drove to see him.) When he was in town, our Monday morning route (before Paul set off for home) from my apartment to my favorite coffee shop took us past the house that would eventually become our home, which at the time was "For Sale By Owner." It is a Victorian house, built in 1870, which had been lovingly and painstakingly restored by its then-owners. It was that exciting time in our relationship when we were dreaming of our future life together, and in the midst of that hopeful time (where nothing seemed too far out of reach, within our natural sense of reason), we started to imagine what it might be like to someday call that Victorian house our home. At some point, we decided on a whim to phone the number on the "For Sale By Owner" sign, in order to arrange to view the inside. As you can see, other than the second and third volumes in the series, every novel is characterized by a place that has been named by its inhabitants. There's something magical about this. As for my husband, if I am someone who absorbed this ethos through the stories I read, Paul just is the kind of person who would want to name his home someday. It's innate to who he is, and one of the things I love deeply about him. 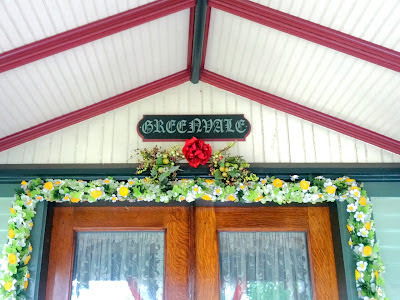 So, last year when we first encountered it, we named the Victorian house we found ourselves utterly enchanted with, without having seen the inside yet. I knew it was emotionally dangerous to do so, since we had no idea if it would ever be our home, and naming the place bound it to our hearts. But, put simply, we just couldn't help ourselves. The house practically named itself, in our view, so calling it by its name in conversation with each other just seemed natural--we couldn't help it, so we didn't bother trying. Jumping ahead to the present, God blessed us and rewarded our emotional risk of naming the house without knowing it would ever be ours, because it did in fact become our home later that year. We knew from the get-go that we wanted to hang a sign on the front of the house, bearing its proper name, but we also wanted to do it right (and not sloppily), which meant it would take some time to get to. Which brings me to the true purpose of this post... Paul found the time this week to finally adorn our home with its name, just above the front doors, and I am so smitten by it I simply had to share it. how lovely! :) and what a beautiful picture! I LOVE THAT YOU NAMED YOUR HOUSE. :D Have thought of doing the same for ours, but the right name hasn't struck. 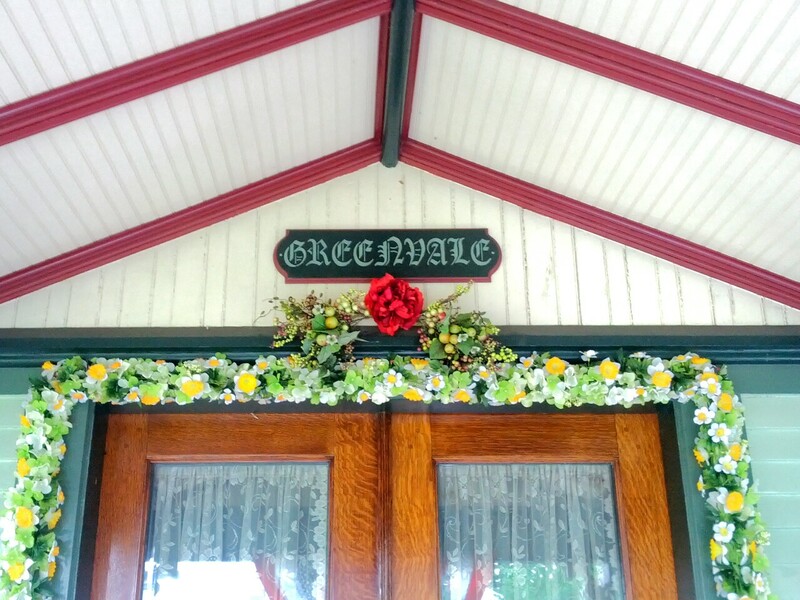 Greenvale sounds just like something out of Avonlea or Four Winds--just beautiful. Aw, thank you Jenna, that means a lot coming from a writer of stories! Oh, when the right name for your home comes to you and Lou, you will know it, and it will be perfect when it does. I bet giving yourselves the chance to experience four seasons under its roof will help you learn its character enough to name it well...and when you do hit on the right name, do be sure to blog it and post a sign on its exterior if you can ;) We can help adorn our young country with houses-with-names, one home at a time. I wonder if Masha (who I'm not sure follows my blog, so this is mostly just me ruminating out loud) has named her yurt yet? :) Talk about a home with character! I tried naming our houses, but could never get any support from the rest of the family. (I also like to name our cars.) I can't remember all the attempts I made on the current house, but Two Pines might have been my best lonely effort. Then we had to cut down one of the pines! So that was a failure all around. It's very satisfying to know that people are still naming their houses, and I'm sure it makes your house happy!